So despite all of my self-directed pep talks and statements of intent, the last couple of months have been a bit of a damp squib as far as writing is concerned. Not necessarily in terms of the bigger picture – things are fizzing with potential there on all sorts of levels – but definitely in terms of the actual getting-new-words-on-the-page part of this whole writing lark, which ultimately is the only thing that keeps it sustainable. It’s been getting me down, if I’m honest. I’ve been so busy doing stuff, some enjoyable, some less so, but all eating up my time. And the sitting down and writing creatively thing, the thing that was my priority (baby aside) when I decided to not go back to teaching after having Arthur, has just faded into oblivion. 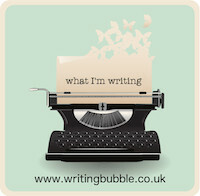 I think it was partly meeting up with all my lovely writing buddies that reminded me how much I missed it, the writing. And I don’t mean the blog – between here, Connecta Lives and eye-wateringly epic grant application forms I’m doing plenty of that kind of getting-words-on-a-page. I’ve even managed to tie in my local lido obsessed campaign work with the building skills for blogging thing, having set myself the target to create a self-hosted wordpress blog for the pool which will (hopefully) teach me how to do it for myself. But it’s all a bit too grounded in the real world. I’ve been missing my imagination. And I think especially in a year as crazy as this one has been that imagination is frankly the only hope we have. I have decided that I am going to bring my creative writing to the foreground again – to give it priority over all of the other jobs I have to do. I can normally convince myself that they are way more urgent – generally because in a coldhearted cut and dry way they are. The writing is, of course, important – but it gets totally lost when the pressure of time is applied. It is time, though, to override that urgent-important matrix, or at least to elevate the creative writing bit so high on the importance scale that it doesn’t matter if no-one notices if I get it done. Because I do, and actually maybe that’s the most important thing of all. I have a bit of a plan, which involves my creative project being the very first thing I open when I sit down at the computer. Not necessarily at the start of the day – I might try to get back to the blissful state of crack of dawn writing, but given that we’re in the depths of winter I don’t want not managing that to be the excuse for not doing anything. The other excuse I’ve been giving myself is that I’m not working on a novel. I should probably get into the edit of the third one at some point if I’m honest, but for now I have various short story ideas swimming around my brain. So the first thing I did yesterday was catch them, and put them in a Scrivener document. Much as I love the thought of scribbling in a notebook the past thirty six hours have taught me that I get many more words down on paper when it’s the virtual kind. I realise that this is exactly the wrong time for resolutions, what with Christmas and Arthur’s birthday to contend with over the next few weeks, but at least this way I should be going into 2017 with a much clearer idea of where I’m at. This entry was posted in Sophie is writing, Uncategorized and tagged focus, juggling, multi-tasking, priorities, writing on December 7, 2016 by sophieblovett. Keep doing what you’re doing as you are a most inspiring and motivational lady!